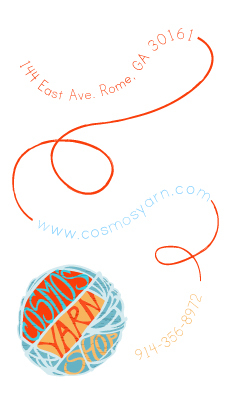 This was a business card I designed for Cosmo’s Yarn Shop. I developed the visual concept and logo you see here. It consists of my original vector artwork created in Adobe Illustrator and Photoshop. It was my intention to convey the eclectic, creative and fun atmosphere of Cosmo’s through this logo and design.